The 9-year-old boy at the center of a viral video, dubbed “Cornerstore Caroline,” said he’s struggling to move forward ever since a woman falsely accused him of sexual assault on camera, pushing him into a national conversation about racial profiling and excessive 911 calls made against African-Americans. In an exclusive interview with “Good Morning America” on Friday, Jeremiah Harvey, who is black, said he was traumatized and forced to look at race in a new way after a white woman claimed he groped her at a convenience store. 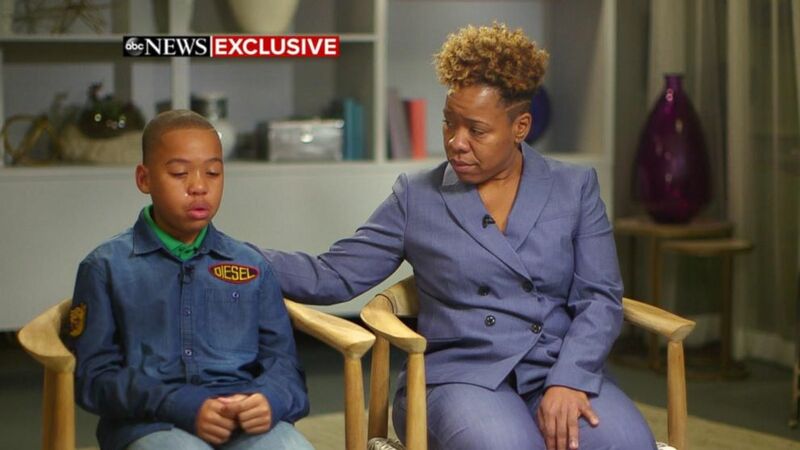 Jeremiah Harvey and his mother Someko Bellille spoke to "GMA" about being falsely accused of grabbing a woman at a convenience store in New York City. Jeremiah's case gained national attention earlier this month when a stranger, later identified as Teresa Klein, claimed he groped her at a Brooklyn convenience store, not far from his home. "I want the cops here right now," Klein yelled, according to social media video of the incident. "I was sexually assaulted by a child!" Klein issued an apology a few days later when surveillance footage showed Jeremiah’s backpack grazing her backside as he walked by with his hands in front of him. 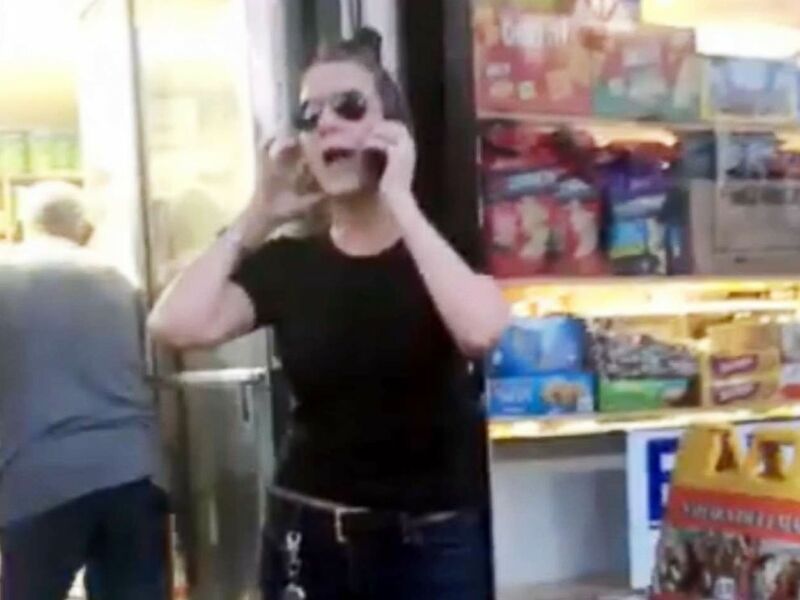 "I called 911 because this woman was very aggressive," Klein told New York ABC station WABC, referring to the boy's mother, who she said threatened her. "Young man, I don't know your name, but I'm sorry." Klein said she received threatening phone calls in the wake of the incident. She also denied allegations that her 911 report had been motivated by race. 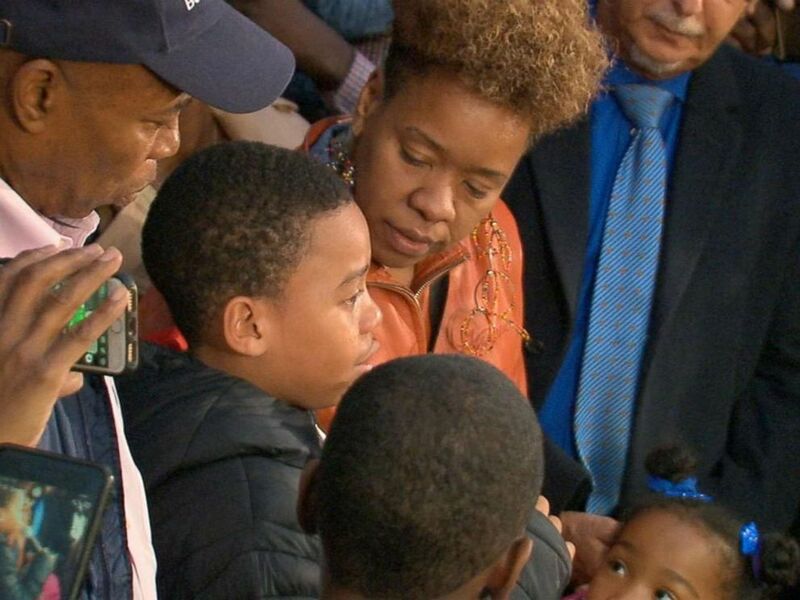 Jeremiah Harvey, 9, speaks at an event in Flatbush, Brooklyn, Oct. 16, 2018, after he was accused by Teresa Klein of grabbing her backside at a deli. 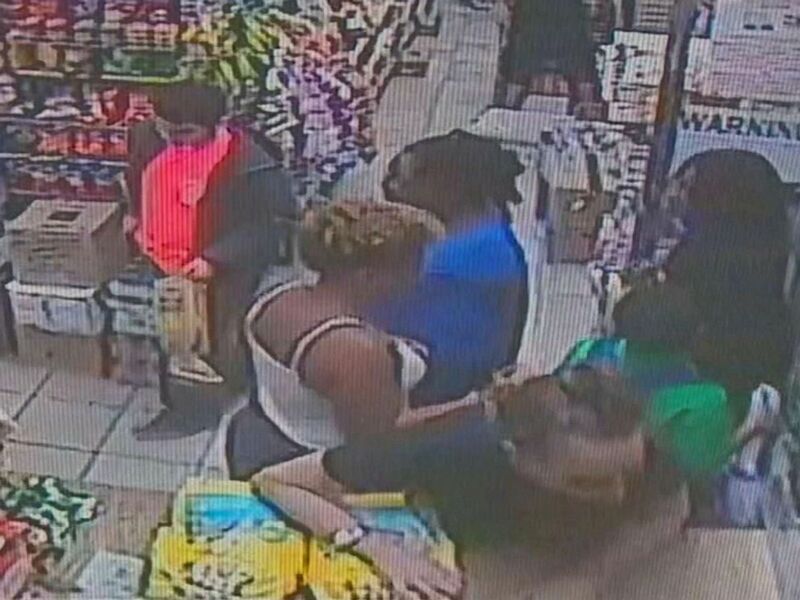 Surveillance video captures the moment 9-year-old Jeremiah Harvey passing by Teresa Klein in a bodega in Flatbush, Brooklyn, Oct. 16, 2018. Jeremiah had been shopping with his mother and young sister when Klein levied the accusations against him, causing him to cry and yell for his mother to help. “His innocence was taken for granted,” she added. Jeremiah told "GMA" he cried that night out of fear that he or his mom would be taken away by police. Bellille expressed concern that the incident has permanently scarred her son. "It was devastating for him," she said, "because even after walking away he was pointing to, you know, patrol cars on Flatbush Avenue and saying, 'Mommy, are they here to take you away from us?'" Bellille said she struggled to explain the incident to her children. “This is going to take some time. It’s going to take a lot of healing,” she said. Crying children are pictured in an image made from video shot in Brooklyn, New York depicting a woman calling police alleging that she had been sexually assaulted by a young boy. 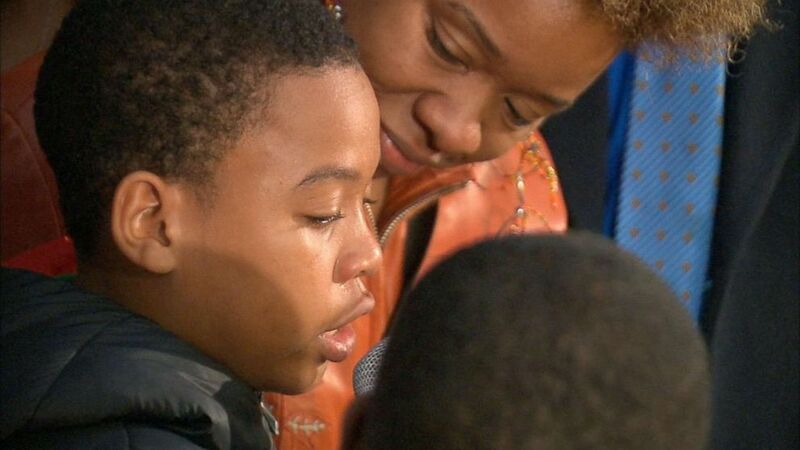 The family spoke out for the first time this week during a community meeting in Brooklyn, where Jeremiah broke down in tears. "I don't forgive this woman and she needs help," he said. Days later, when asked if he would forgive Klein after viewing her on-camera apology, he responded, "Yes. Yes I do." Jeremiah said he doesn't know how he'll move forward. But he plans to do so with love. "Friendship is the key, it changed my whole mind of accepting the apology that she gave me," Jeremiah said.